UK special operations vehicle developer, Supacat, displayed its HMT 600 Coyote tactical support vehicle in an anti-unmanned aerial vehicle (UAV) defence role for the first time at DVD at Millbrook in the UK. 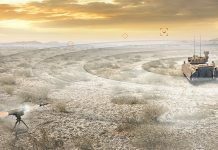 Chess Dynamics Anti-UAV Defence System (AUDS), the only operationally proven counter-drone system, has been installed on a Coyote. Using the Supercat’s HMT variable height air suspension system, the 600 Coyote has an impressive cross-country performance and payload. 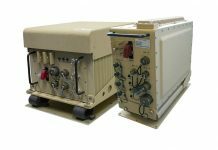 As with the smaller HMT 400 series, the 600 can be supplied with an optional mine blast and ballistic protection kit and can be fitted with a variety of mission specific hampers, weapons, communications, ISTAR and force protection equipment to suit a wide range of operational roles. 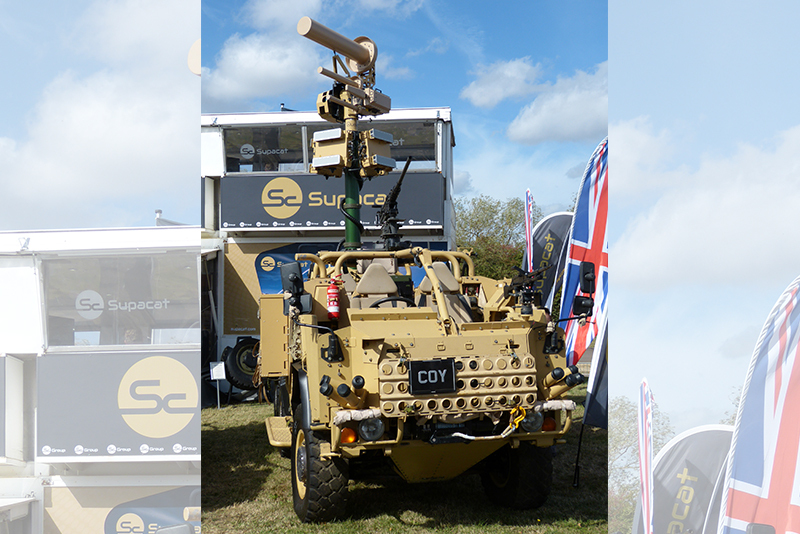 The Coyote mounted AUDS is the latest collaboration in a long standing relationship between Supacat and fellow UK SME, Chess Dynamics, and demonstrates the agility of both UK companies in coming together to deliver battle ready solutions that fill a capability gap. 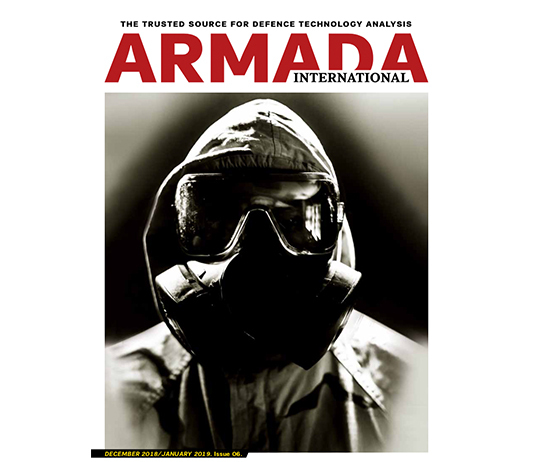 Julian Moir, Chess Dynamics business development consultant, told Armada International that AUDS has been in service with the US forces in both its field mast configuration and has also been installed on Stryker armoured vehicles. It has over 700 confirmed ‘kills’ and has been on continuous combat operations since it deployed to frontline operations against drones launched by the so-called Daesh fighters almost two years ago. 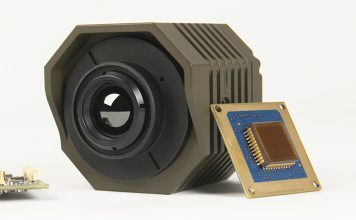 It is designed to disrupt and neutralise a wide variety of UAVs engaged in hostile airborne surveillance and potentially lethal activity. 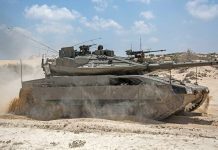 In November an AUDS mounted Coyote will participate in Autonomous Warrior’, the 2018 British Army Warfighting Experiment’, which will test how Robotic and Autonomous Systems (RAS) can be exploited in the land environment and assess their ability to reduce the danger to troops during combat.